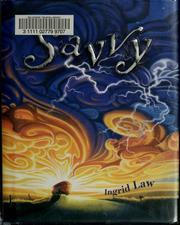 I loved the book Savvy by Ingrid Law. I thought that Will Junior was really in love with Mibs (mississippi) and on there first kiss in the pool I was blown away. when I figured out what Mibs Savvy was I thought that she would hate that she did for a while but then she learned to deal with it. I wouldn&apos;t go back to school because what if the other students drew on their hands Mibs would not be able to concentrate on her work. I thought that Rocket really liked Bobbie and BObbie liked Rocket but I couldn&apos;t help that. Lill was like a seconed mother to Mibs and she really liked that. Samson is like a little creature but he talks. Creatures don&apos;t talk. People are right, you can&apos;t judge a book by its cover.